Honda Philippines calls its latest offering the New Generation BeAT-FI eSP Series as the ‘Scooter for All’ and the motorcycle manufacturer has all the right reasons to do so. The New Generation BeAT-FI eSP Series has been especially developed for the Philippine and Indonesian markets in 2015 and serves as the latest iteration to the BeAT scooters currently doing well in both countries. The new scooter is actually a giant leap to a whole new level from features of the groundbreaking BeAT Carb in the Philippines and the best-selling BeAT PGM-Fi in Indonesia. Equipped with the exclusive and industry-revolutionizing feature called the Honda Smart Technology, which the company first introduced to the Honda Click125i, the New Generation BeAT-FI eSP Series becomes the ‘Scooter for All’ primarily because of its excellent engine performance, stylish and sporty design, groundbreaking features, plus affordability that enables it to cater to a wider market base among Filipino scooter enthusiasts. At a retail price of PhP66,900 for its standard model and PhP69,900 for the variant that highlights the idling stop system (ISS) and the combi-brake system (CBS), the New Generation BeAT-FI eSP Series is quite affordable enough among scooter enthusiasts including the young generation of today’s riders as well as the young at heart who are very much willing to let their beat out given the perfect opportunity to do so. In terms of design, the New Generation BeAT-FI eSP Series is just the right size for the young generation of Filipinos today. It is compact and makes its rider agile and flashy. 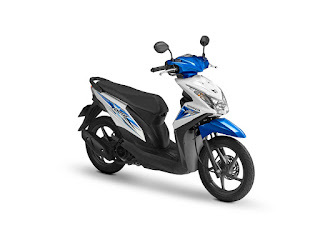 It exudes a sporty exterior appeal, accentuated further by its trendy colors and speedy stripe, making it the scooter for everyone among today’s generation of scooter enthusiasts. It also comes with other new design elements including an aerodynamic steering cover, an aggressive headlight form, a very informative meter panel, a sporty tail light, a sporty muffler protector, a stylish fan cover, a new design crankcase cover, sporty rear suspension with plastic cover, and a stylish side mirror. The New Generation BeAT-FI eSP Series is also high on groundbreaking elements and features that are practically typical in most of the scooters in the market today. It comes with customer-friendly features that provide riders more convenience and utility including a larger utility box, bigger tire size, comfortable triangle riding position, unique battery position and cover, and very accessible position of the air cleaner. With the key secure key shutter, the New Generation BeAT-FI eSP Series comes with a magnetic locking system that can be closed manually, which reduces the risk of theft apart from being more practical and comfortable. It also comes with a side stand switch equipped with an electric circuit breaker. Majority of motorcycle and scooter accidents happen because riders forget to lift the side stand as they drive. It won’t happen with the New Generation BeAT-FI eSP Series as the scooter engine would not start if the side stand is in the down position thereby eliminating the risk of possible accident and ensuring safety for the rider. The park brake lock is meant to prevent the motor current to jump start the engine and jerk the scooter, and also avoid the risk of unwanted accident for the rider. It is very easy to operate by hand since all the rider needs to do is to pull back the left brake lever and the park brake lock is released. Having the automatic headlight on whenever a rider is driving greatly ensures his visibility to other motorists. And that is the reason why it is also a form of safety feature of the New Generation BeAT-FI eSP Series. And finally the combi-brake system is the safety feature that delivers controllability, convenience, and the sense of confidence for the rider because the technology in the scooter gives it the optimum braking power while reducing nosedive, which is very common in many scooters and motorcycles. Because the technology enables the application of the right amount of brake power on both wheels of the scooter, shortest stopping distance when braking can be achieved. With all these new features, there is no doubt that the New Generation BeAT-FI eSP Series is the ‘Scooter of All’ and to everyone who are willing to let their beat out at every chance they can get.